XBTM Direct Bond brackets from JJ Orthodontics has blend of proven features of two piece 80 gauge mesh based bracket and next generation refinements. Accurate Prescription – XBTM brackets have easy to read permanent ID mark on each bracket. The pad “^” shape always points to the gingiva. 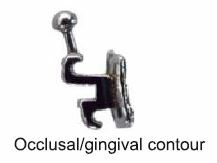 The distal gingival tie wing area has a “dot” for upper and a “dash” for lower arch. The tooth number is on the mesial gingival tie wing. Straight Wire Style – They are compound, contoured and straight wire style brackets and therefore fit better on the tooth surface. The torque in base allows proper in/out dimension and relationship. The base torque also allows levelled slot line-up with teeth in the desired end-of-treatment positions. This straight wire style results in reduced period of treatment, less chair time and better case finishing. Proven 80 Guage Mesh – XBTM brackets have a proven 80 Gauge wire mesh base that provides undercuts and increased surface area needed. The base surface area is sized between full sized and mini brackets, and has excellent bond strength. It is important to view each bond along the midsaggital plane when placing a bond. 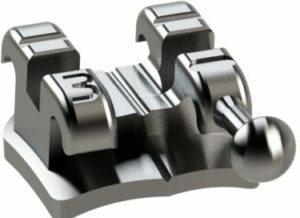 XBTM brackets give you an improved reference line to assist proper bond placement. To see Parallax PlacementTM Technology in action, place the brackets on the flat surface, move your head side to side along the archwire slot, the Body line and Pad line are aligned to make a visually continuous line when viewed from the midsaggital plane. The lines are not continuous when you are off the midsaggital plane. This adds a new reference to the bond that assists in proper placement, showing the subtle placement error before the adhesive sets can mean less chair time and cost savings. 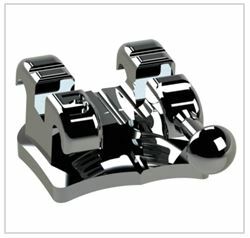 Right sized Twin Brackets– They are larger than many mini brackets and more aesthetic than many full-sized brackets. 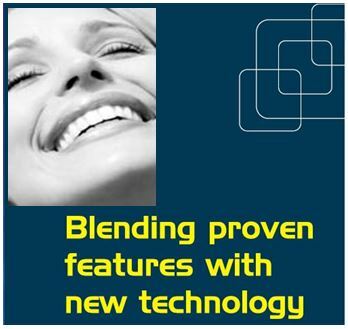 They deliver the balance for rotational control you need in a patient friendly aesthetic metal appliance. Compared to many popular appliances, XBTM brackets are sized between “full” and “mini” brackets in the mesial distal dimension and have the occlusal gingival size of many “mini” brackets. Generous Tie Wings – The tie wings are designed for chain elastics and double tying. 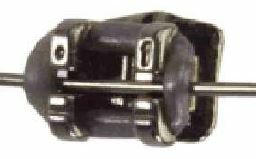 The improved under wing area allows an elastic ligature and chain elastic to fit your bracket. You can comfortably double ligate or “ figure 8” ligate. Metal Injection Moulding Advantage – The technology allows moulding small, intricate shapes precisely and economically which makes XBTM brackets robust.